I recently had BRA convert my 1st gen BRA piston system to the CAPS system, I was so impressed with the level of customer service Charles and Teresa provide. My AR ran great with the 1st gen system and even better with the CAPS system. Keep up the good work! The conversion kit price include free professional installation service from Black rifle arms, which is a huge plus! Get them back installed and headed to range last Sat, it runs super smoothly, eats all kinds of cheap ammo e.g. the silver bear etc. 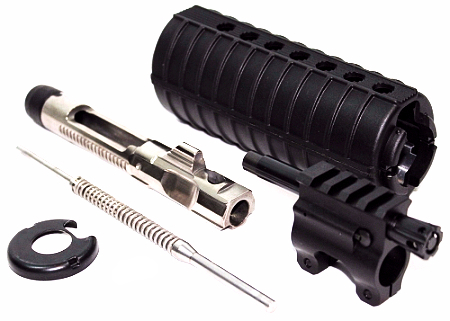 Must ship your complete upper with bolt assembly, cam pin, retaining pin, charging handle, and firing pin. Please remove bolt carrier, gas block, and DI handguards. If you are using a piston compatible rail please include in the package as all Free Float Rails must be installed before the gas block is installed.